Game Show Gurus is a stand alone team building and entertainment production company specializing in all forms of game shows for corporate, school, promotions and entertainment. We provide nationwide service and cost effective rates. Ideal uses include, but are not limited to: team building, training, orientation, trade shows, campus programming, enter-tailing, product launches, parties. 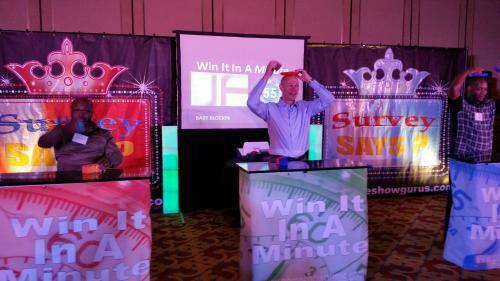 We provide the latest in game show activities for large themed corporate, college and promotional events. 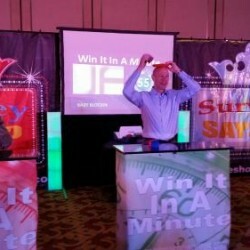 We can set up simple and more complex game show stations for your guests to engage in. No matter if its for a school function, festival, fair, wedding bar mitzvahs, mall, casino or any other occasion, we can bring in model sample games from TV’s most popular game shows. We can help you bring back your favorite game show to keep you and your guests entertained for hours. Our services provide a unique twist to keeping your guests engaged at your special event. Some of the best game shows that have been loved by so many for so many years are coming back. Why not provide the very same entertainment that we loved for your occasion. Here at Game Show Gurus, we have also loved those very same game shows, so we take our job seriously and are very professional. Our game show party planning is essential for you and your guests to have the best time possible. Our mission is to provide game shows for all markets at all production levels. We aim to be able to a service provider for all computer templates and game show hardware availalbe on the market today, give you choice, knoweldge, and flexibility. We love working with event marketing and promotions. Add corporate events such as sales meetings, training, cocktail receptions and awards banquets. Social events such as weddings, mitzvahs, and birthdays. Also great for school events. We can uniquely scale our game show production to your event and budget as well as customize material. Some events need more sizzle and some need more steak. The largest choice of game show formats complete with realistic sets, backdrops, and top talented staff. It's a true "Show"". " Customer Service and Event Planning.